"We spent an enjoyable 2 hours this morning watching 3 Peregrine Falcons–2 adults and a juvenile–diving on and generally harassing the family group of 5 ravens at Laurel Hill, near the baseball field. "Also around were Least, Common, and Forster's Terns, Osprey, and an adult Yellow-crowned Night Heron." 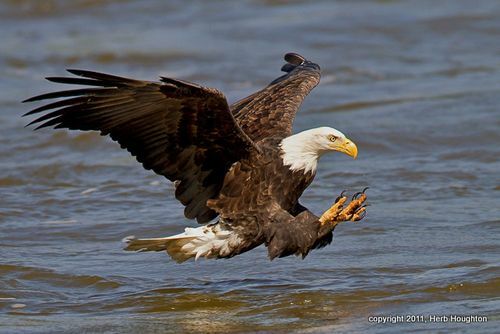 Nature photography by Herb Houghton continues through the end of July at the Flyway Gallery in the Meadowlands Environment Center in DeKorte Park. There's a reception for the photographer this Sunday from 11 a.m. to 2 p.m. You can meet Herb and find out how he gets those incredible shots. 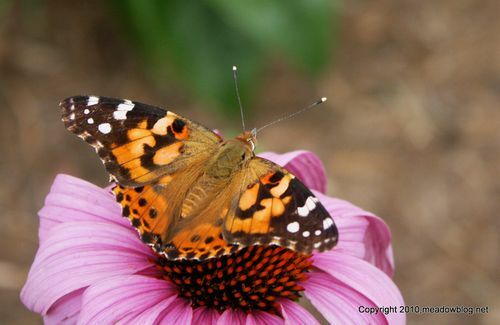 There's also a free nature walk at 10 a.m. on Sunday at DeKorte Park. Hope to see you there! 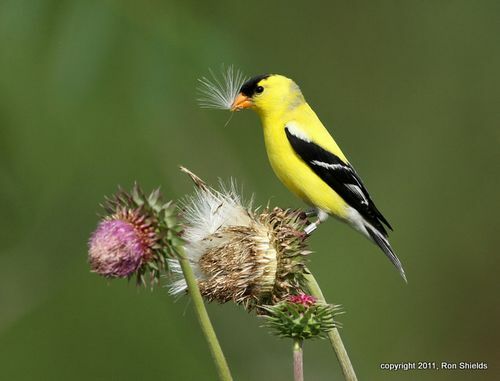 Ron Shields photographed this doubled-banded American Goldfinch out by the Carillon on Disposal Road recently. He earlier had a single-banded Goldfinch in the same locale. That post is here. 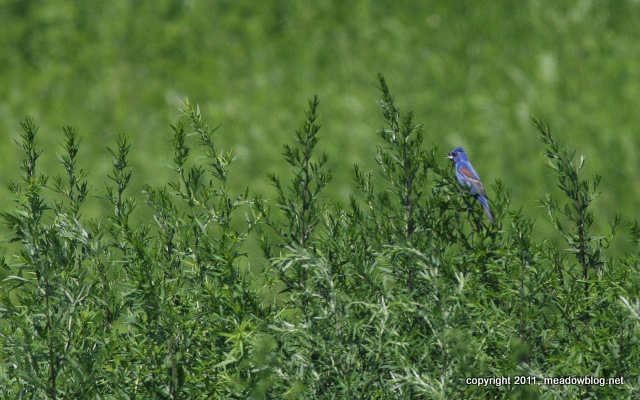 Blue Grosbeaks have not been seen much in the Meadowlands for years. We saw something bright blue while on another assignment yesterday and took a few photos before moving on. 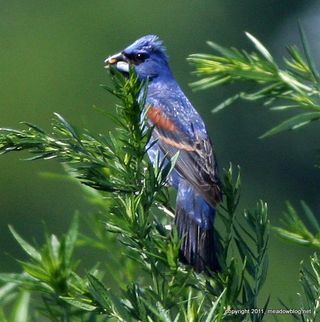 When we downloaded the pix, we realized it was a Blue Grosbeak. More on Blue Grosbeaks here.